USPOULTRY and the USPOULTRY Foundation announce the completion of a funded research project at the University of Georgia in Athens, Ga., in which researchers created a new rapid method to develop infectious bronchitis vaccines. The research was made possible in part by an endowing Foundation gift from Fieldale Farms and is part of the Association’s comprehensive research program encompassing all phases of poultry and egg production and processing. A summary of the completed project is shown below. 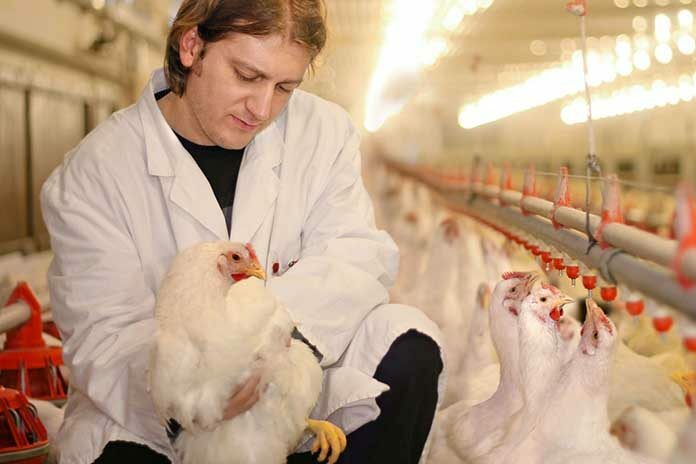 A major challenge to controlling avian infectious bronchitis virus (IBV) is achieving protection against the numerous types of the virus circulating in commercial poultry. Generally, this can be achieved using vaccines that are homologous (same serotype) to circulating IBV types but many times homologous vaccines are not commercially available against variant viruses causing disease. Creating a new live vaccine to protect against a new IBV variant requires attenuating the wild variant virus, usually by serial passage in chicken embryos, which takes a long period of time to accomplish. The objective of this project was to create an infectious clone backbone from an attenuated IBV Mass type strain that can be used to quickly create type specific vaccines against any circulating IBV strain. An infectious clone is a form of the virus into which gene segments from a wild variant strain can be easily inserted to produce vaccine candidates. An IBV infectious clone was successfully created and the virus was then rescued in vitro. This work provides an improved method for the control of variant strains of IBV by allowing the rapid construction of new vaccine viruses. Since the original Mass type virus used to create the infectious clone was attenuated, new vaccine viruses, made using this method, will also be attenuated.